Wow! It’s week 4 of the One Room Challenge and these six weeks are flying by. 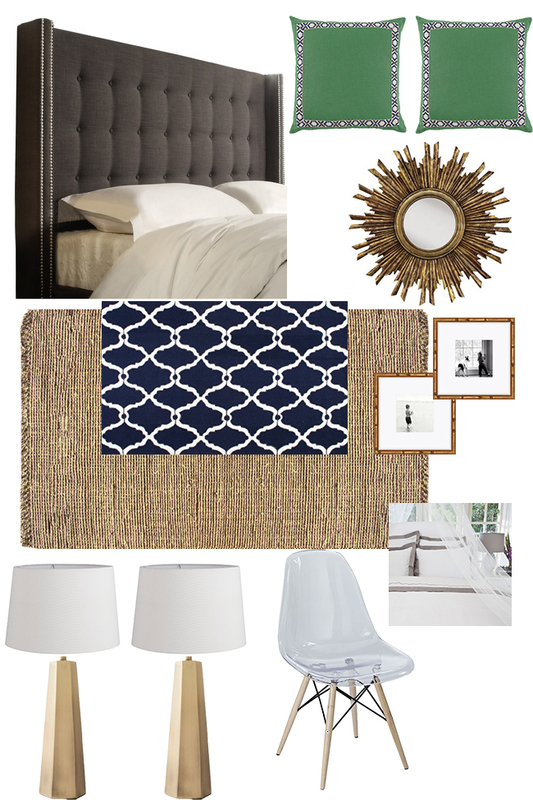 I’m still working on our master bedroom, but I have several things left to do. It’s going to be down to the wire I’m sure, but I usually work best under pressure so let’s hope that ends up being a good thing! 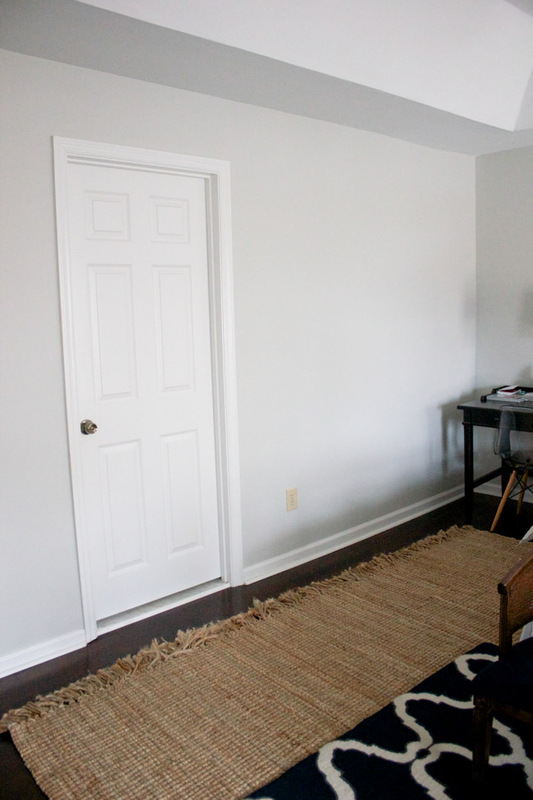 If you’re just joining me, I’m participating in the One Room Challenge and making over a room from start to finish in 6 weeks, sharing weekly progress reports with a final reveal the last week. You can catch up by checking out the before pics and room plan I shared in Week One here, and view updates from Week 2 and Week 3. Once again, here is the moodboard for the room. This past week my focus was on artwork for the room. I’ve received a few pieces, and I’ll share specifics on all of them very soon. Here’s a sneak peek. Each set of artwork/frames will get their own dedicated blog post because I want to share the specific details on the products and the generous brands who provided them. They aren’t going to look anything like this when I’m done with them, but frames are super expensive so I was excited to find large scale frames for such a low price. I’ve already pried them apart and removed the art, and I’ll be painting the frames and replacing the art with something else. These will go on the blank walls on either side of our bathroom door. Our chandelier is shipping out this week and I can’t wait to receive and install it, and of course show it to you! The other major project will be building the nightstand, which I hope to finish in the coming week or by next weekend at the latest. It’s coming together! Can’t wait to show it all to you soon. Be sure to check out Calling it Home for the One Room Challenge link up to see what all of the other bloggers are up to! It looks like you’re staying on track and it is all coming together so nicely 🙂 I am looking forward to seeing what you do with those huge frame – what a steal! Thanks Kelly! I was happy to find the frames so cheap! I was hoping to do something large scale on that wall so I’m glad I found a thrifty option. Your progress is turning out beautifully. We are more than half way through the challenge. I can’t to see you master bedroom when your finished. I love the Ruby Falls pictures..I have driven by many times and not stopped. I will the next time I am in the area. Keep those create wheels turning. Thank you! I know, I can’t believe the Challenge is over halfway done! Still lots to do over here. Definitely stop at Ruby Falls sometime! It’s a fun place to visit. Love your design and artwork – it’s all coming together so nicely! Seems like everything is moving along according to plan! I can’t wait to see what you do with those frames. 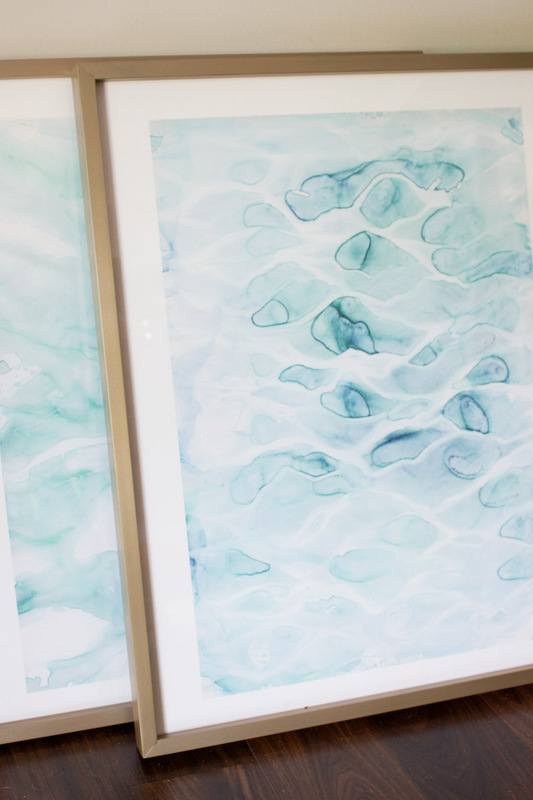 That’s next on my list, too – find artwork for the bathroom!! Thank you Jenna! Artwork is the fun part of putting a room together. Good luck and hope you find something awesome for your bathroom! I’m sure you will! Loving the art! Can’t wait to see more! Love the bamboo frames. Can you please share the source. Thanks, Bharati! They’re from Framebridge. I’ll be sharing more details on them very soon. 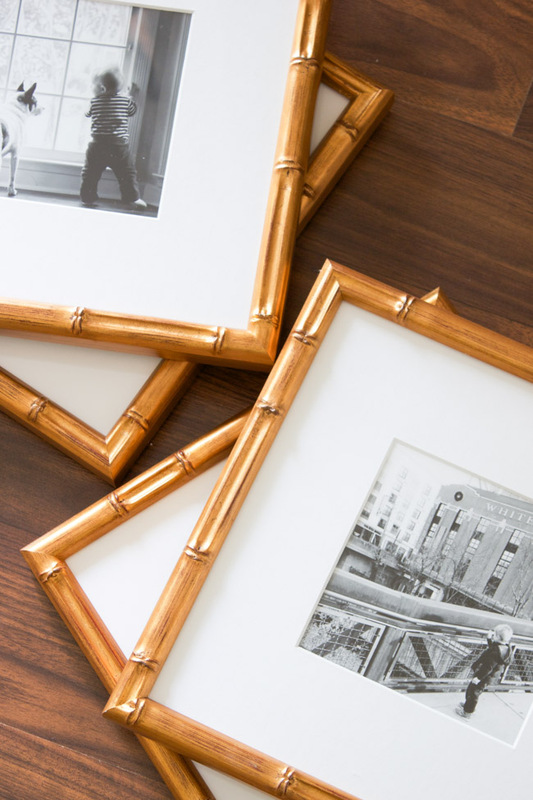 Love those bamboo frames! Your design is lovely, can’t wait to see the finished room! It looks like you are staying very focused and true to your mood board! I love the choice of frames! Those bamboo frames! Loving them. Can’t wait to see what you do with the larger frames too! Looks like everything is coming together beautifully! I just LOVE the art you’ve chosen! 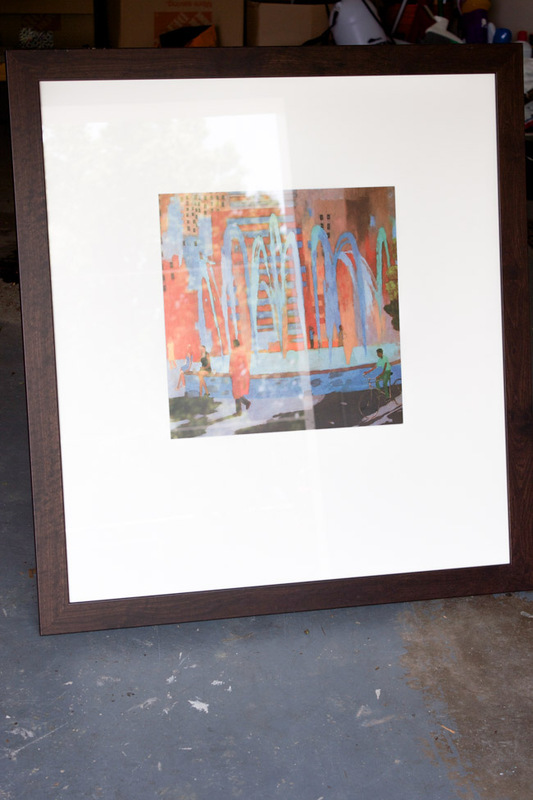 So smart to get cheap framed art and keep the frames – they’re crazy pricey on their own. Loving this direction! $9 for those large frames? You stole them – great idea. Thank you! They definitely were a steal, I was so excited!